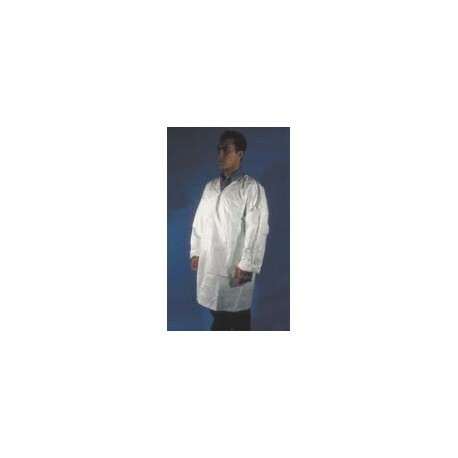 For most individuals using UV material, a long-sleeved laboratory apron constructed of impervious materialprovides adequate protection to the body. However, in cases where exposure to spray coatings and aerosols is likely, practice maximum whole-body protection with our industrial line of disposable clothing. 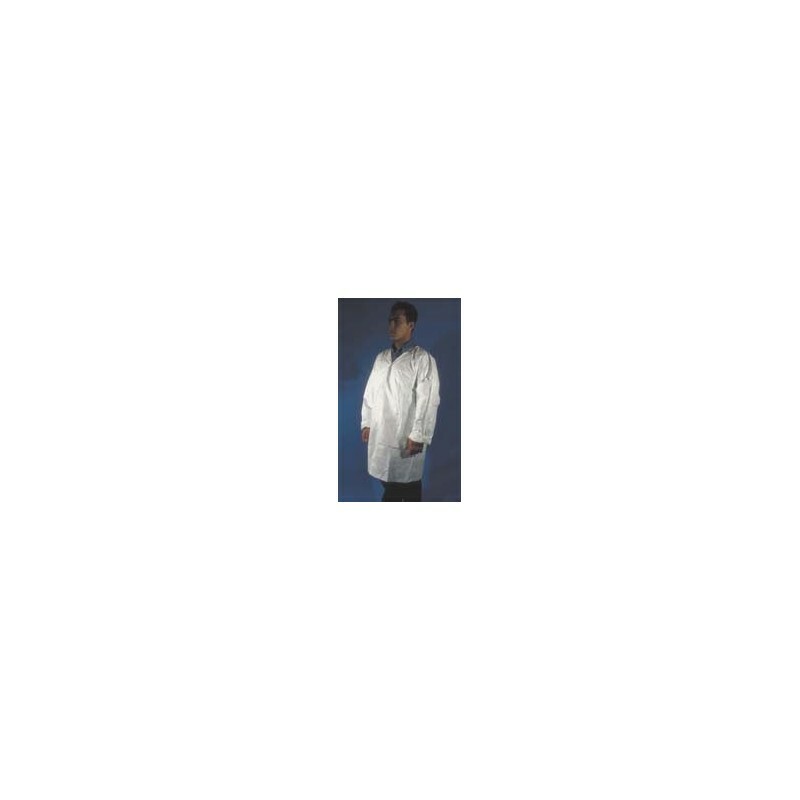 SAF-T-CURETM DISPOSABLE LAB COATS are ideal for shop and lab use. Made of nonwoven Tyvek, they feature long sleeves, collar, full cut and front snaps. They fit comfortably over clothing and are available in 4 sizes. Sold individually or 30/case.